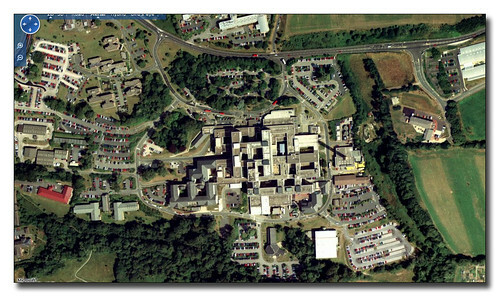 Part 4 of this series and we are looking down at Derriford Hospital. 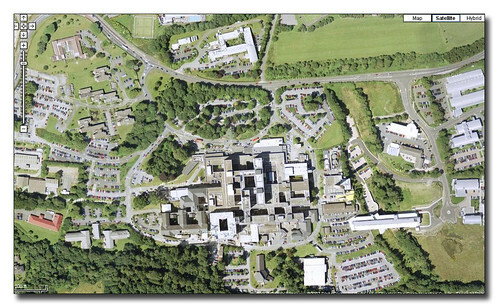 Perhaps the biggest area of change is on the right hand side of the Derriford complex with a large new building straddling the valley between the Hospital and the Tamar Science Park. This is the new University Medical School. 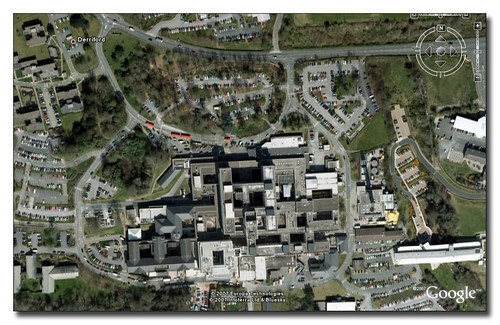 The other new part which is slightly harder to find is the new Cardiac complex which appears as a bright square shaped block one inch from the bottom in the middle of the image above. This new block is easier to see in the latest image which actually does not show that much change since the one above.